MN17 disaster anniversary: Will the guilty be tried in absentia? While lawyers are deciding how to bring those responsible to justice, in the Hague the families of victims of the MH17 flight began a protest action in front of the Russian embassy. Suspects in the crash of the Malaysia Airlines flight MN17 in July 2014 may be convicted in absentia, Ukrinform reports with reference to Reuters. Meanwhile, on the eve of the anniversary of the tragedy, the relatives of victims in the Boeing MN17 disaster on Sunday, July 16, held a quiet protest action in front of the Russian embassy in the Hague. 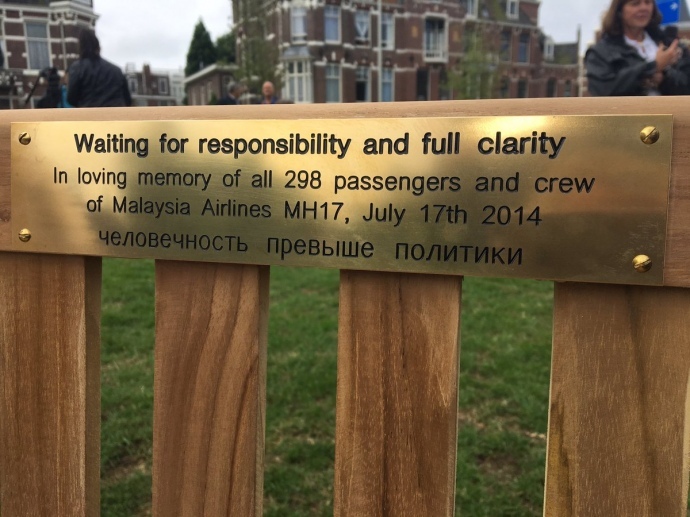 About 15 people installed a memorial bench in front of the diplomatic mission to "wait for responsibility" of Russians for the downed Boeing. In particular, relatives and activists point to a number of cases of Russia impeding the investigation in MN17 disaster, like blocking the UN tribunal, the concealment of witnesses, the refusal to provide truthful information and the presentation of information that is demonstrably false. According to the "European Truth", a memorial plate with the inscription "Waiting for responsibility and full clarity" is attached to the memory bench. Below there is an inscription in Russian: "Humanity is above politics". 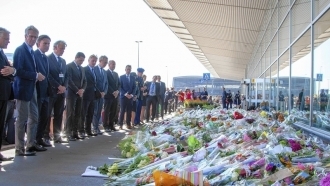 Earlier QHA reported that in July 2014, Australia, Belgium, Malaysia, the Netherlands and Ukraine had agreed that litigation in the case of the crash of the aircraft would be carried out within the justice system of the Netherlands. The Boeing 777 plane of Malaysia Airlines, following the flight MH17, was downed over the eastern part of Ukraine on July 17, 2014. All 298 people who were on board died. 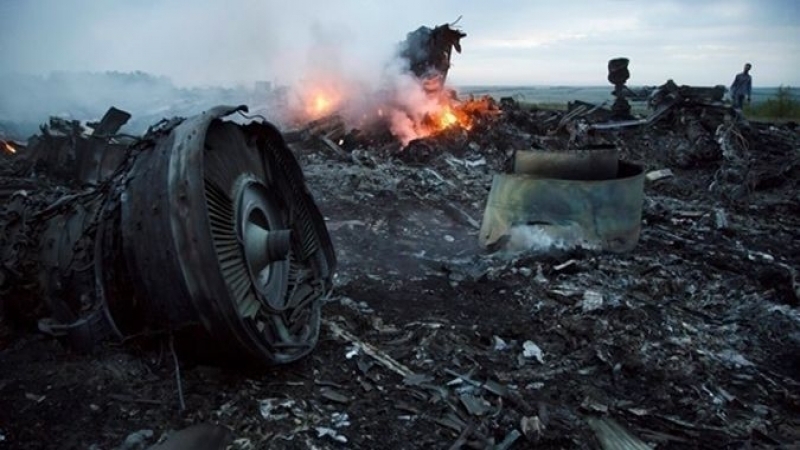 According to preliminary investigation, the "Buk" rocket, which downed the plane, was delivered to Ukraine from Russia.